Roux has a promotion where you could win a designer handbag. Everyone who enters in this promotion will get a free Roux hair care sample and a BOGO coupon. The hair care sample is of Roux Anti-Aging Hair Care. 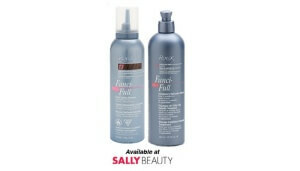 Roux products are high end hair care products that you can find in stores like Sally’s and Ulta. It is nice to be able to try out a high end hair care product before committing to a full bottle. Hurry in and sign up for this promotion to get your free samples. Look to the top of the Facebook announcement and click “skip” or like the page and click “continue” to access the freebie form. If you are a fan of the shampoo they also sell Roux Shampoo on Amazon.